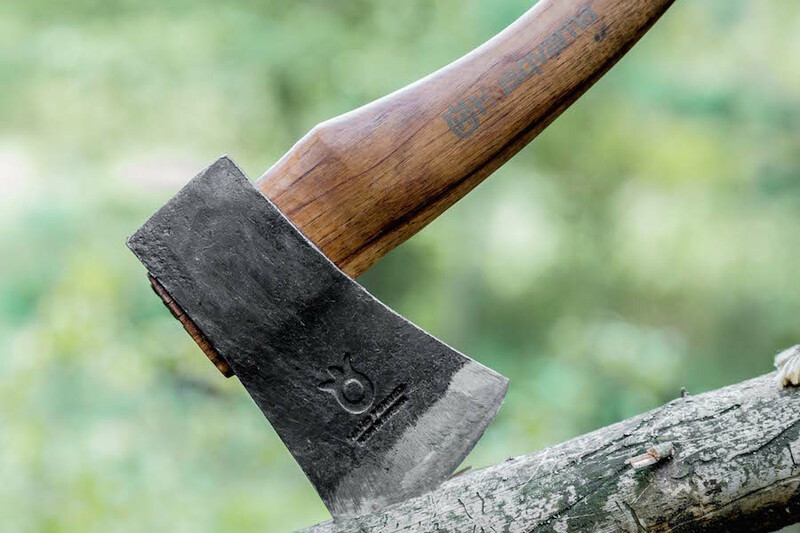 I’ve been using this Husqvarna hatchet for good two years now, and I decided that we knew each-other well enough for me to be able to say something about it. My opinion about the hatched changed radically relatively recently. At first I was a little disappointed and thought the thing was too heavy and the shaft was too wide and uncomfortable. Then I kind of got used to it and thought it was ok but nothing special. In the meantime, I was using other, smaller and lighter hatchets and they felt alright. Maybe even better than the Husqvarna. Or so I thought at the time. Some time ago, I came back to this one and I couldn’t believe I’d ever thought it was too heavy, too wide or unwieldy. What I think happened there was I simply got stronger from using various axes and hatchets for carving (especially with one hand) and suddenly all the draw backs turned into big advantages. I could finally focus on work instead of whining about how heavy the hatchet was. Yes it is easier to swing a lighter hatchet but because it’s lighter you have to lift it higher and drop it faster to get the effect you would when hewing with a heavier one. It’s easy to miss and hurt yourself this way. It also isn’t as precise as when lifting the axe lower. It’s simply a lot easier to hit the spot your aiming for when you don’t have to swing the axe too hard. And finally that wide shaft… It actually assures a firmer grip. It prevents the hatchet from glancing and turning in your hand. 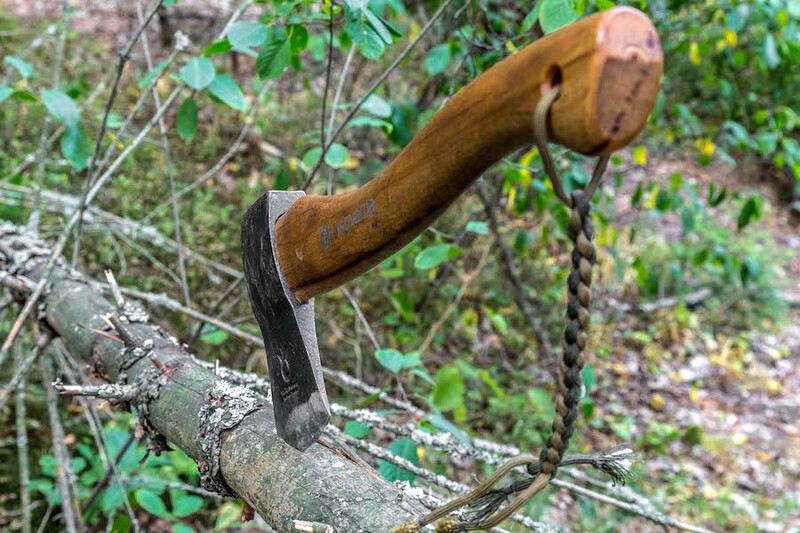 This entry was posted in Knives, Axes etc, Reviews & Tests and tagged Axe, blade, bushcraft, carbon steel, forest, Hatchet, Husqvarna, survival, test, wood, woods by Szymon Szary. Bookmark the permalink. I’m a massive fan of this hatchet as well. It’s great at what it’s intended to do and even though aesthetics shouldn’t really play a role I think it’s a great looking hatchet. The Fiskars X7 is also a great hatchet but it’s ugly! It’s true 🙂 A plastic hatchet is somewhat odd-looking no matter how good it might be. I think it’s scientific that its weight is little bit high and wide shaft, However, Like you, I was disappointed on it but now I understood that this tool is the best tool in my workshop.